Tastefully designed and decorated home nestled above your neighbors, at the end of a quiet dead end cul-de-sac with STUNNING westerly lake views. Enter through the tiled mud room leading into the open floor plan with a beautiful kitchen including granite counter tops, glass tile backsplash, stainless steel appliances, walk-in pantry, overlooking the dining room and cozy living room full of lake views, large windows bringing in lots of natural light and access to private deck and backyard. The beautiful hardwood stairs bring you to the spacious second floor, which hosts 3 bedrooms, including a large master suite with a walk-in closet, additional full bath, and laundry room. Finished basement with custom media wall, chair rail and barn board walls, make the perfect hang out for all ages! 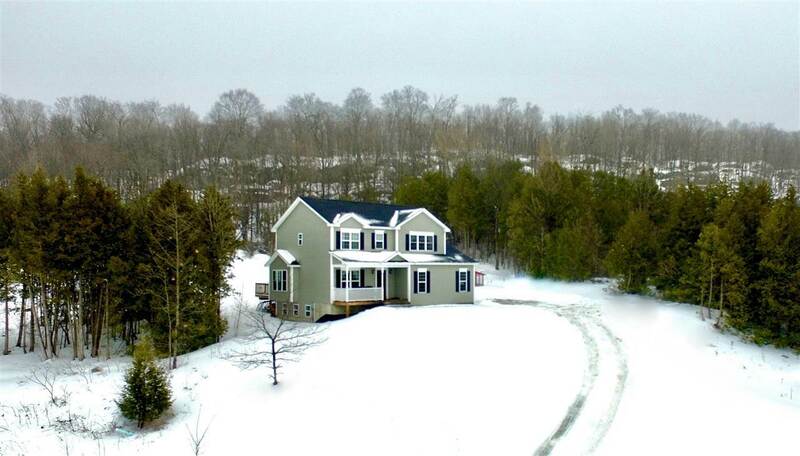 All of this and more, only minutes from conveniences, schools, and I-89!